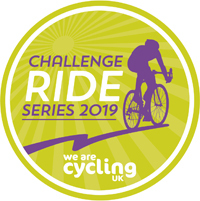 We are pleased to be fielding two courses this year in the Cycling UK Challenge ride series. It perhaps goes without saying that these rides being in the Lakes are certainly challenging so you will need to be prepared, but remember it is not a race. 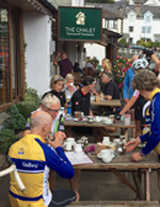 Pace yourself and enjoy a few cafe stops along the way. We are organising the event rather like an Audax in that you will be given a route card or you can use the GPX files and your GPS to navigate around the course. There will be the option of riding in a group with friends, by yourself or with one of the Eden Valley Guides if you are happy to stay at the speed of the group. Start times: Drinks will be available from 0730 for the 100mi group which will start from 0800 in small groups. Please pay attention to any local warnings or changes which may be announced as you depart. Venue: Mungisdale Village hall GR NY365302 - there is a certain amount of parking in front of the Hall but other space in the lanes around. Please be thoughtful, share transport where possible and if necessary cycle a few yards to the Hall from your car. Note: details of the courses may be changed depending on the road conditions on the day. Look out on this page for the most recent versions of the route. Route Cards and Brevet Cards will be available at registration on the day.